You have an exhibition and there is much more to the story than can fit on the walls and in the gallery. You are running an event and want to provide your sponsors digital signage easily. You have a retail store, and not all your products are on the shelves. 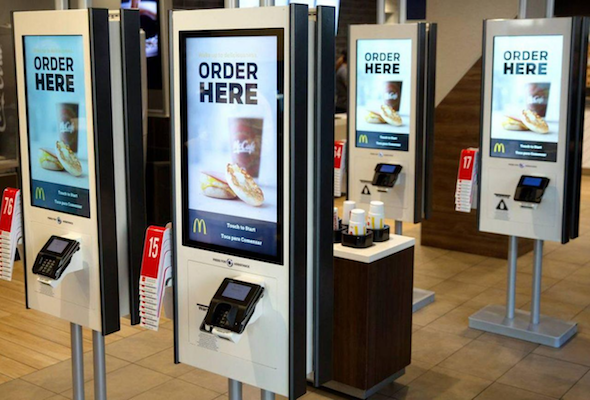 By 2020, McDonalds will outfit almost all of its 14,000 stores with self ordering kiosks. By 2019, Taco Bell will have self ordering kiosks in all of its 9,000 stores. What started in the 1980s with ATMs is now at the inflection point for interactive kiosks. Interactive kiosks are now arriving in restaurants, museums, stores, welcome centers, pop-up stores, for events and conferences. The technology involved to program and manage these kiosks was complex and expensive, but Flow Kiosk was invented to allow anyone to maintain their own kiosk without need for a developer or an IT support team. Flow Kiosk is the easiest way to create, deploy and manage interactive iPad kiosks.